Dan Markel died on July 19, 2014. He was shot twice the previous morning while sitting in his driveway. 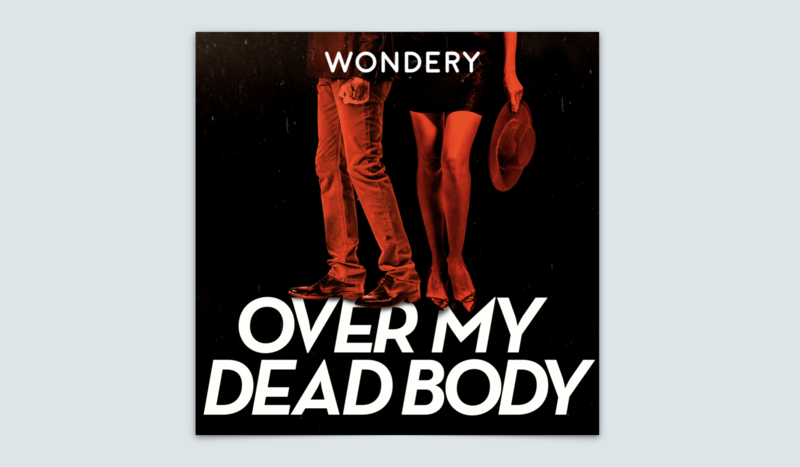 In Over My Dead Body, the latest true crime podcast from Wondery, Dan Markel dies over and over again. We are told the story of his murder through an unfurling spiral, with each rotation presenting a fresh detail or a new interpretation. Over the six-episode series, the implosion of Dan’s marriage and its murderous consequences are reconstructed by journalist Matthew Shaer to reveal an elaborate plot that speaks of the destructive potential of a love-gone-wrong. Did Wendi’s brother order the murder of Dan Markel? This is what Over My Dead Body seeks to uncover. The podcast pursues drama as it examines every detail of Markel’s life, piecing together a tale of misguided love and resentment through interviews, police reports, and posts from Markel’s blog. Markel, an attorney and legal academic, married fellow lawyer Wendi Adelson in 2006, and together they moved to Tallahassee, Florida. It was a perfect marriage, or so everybody said, until Wendi left him and began a bitter legal battle to move herself and their two children to be closer to the rest of the tight-knit Adelson family in Miami. Ultimately, the litigation came to a stalemate. And then Dan was killed. In episode one, “The Husband,” we are told the couple’s love story through interviews with their friends and relatives. In one anecdote, Dan and Wendi conspire to set up their friends Zack and Abigail. As Abigail recounts, Wendi called her out of the blue and declared, “Stop dating, we’ve found your bashert.” Dan and Wendi’s Jewish identities are an essential part of their relationship, and yet tension between the couple began to poison their love story even at their wedding reception. The caterers hired by Wendi’s family failed to provide suitable food for a mainly kosher-keeping guest list, and Dan was forced to personally apologize to his friends and family. Despite this hiccup, their guests say it was a beautiful wedding and that the couple were perfectly matched. The most successful part of Over My Dead Body is how it returns to stories like this in order to subvert them, calling attention to the way we seek to rose-tint romantic love regardless of the warning signs. In the final episode, “Against Mercy,” we are told the story of Dan and Wendi’s wedding from a different point of view, and this time the fault lines are clear. “There was a lot of tension,” Zack says, “it was palpable, like an eighties bar mitzvah.” A rabbi stormed out, exclaiming that Dan should never have been marrying Wendi in the first place. As Shaer points out, this change in perspective comes from the benefit of hindsight. By highlighting this, the show succeeds in demonstrating there will always be more than one way to tell a story. Even the most perfect romance can turn deadly. Unfortunately, Over My Dead Body often ignores its own message, and bias bleeds into the couple’s characterization. Like in the aftermath of the catering incident, Dan is presented throughout the series as a hero. Everyone around him agrees he was a devoted husband, son, and academic. His unabashed love for Wendi permeates almost all of the episodes, and he wrote gushing declarations of affection on his blog, frequently calling Wendi his “world.” That Dan was killed in such a convoluted way makes us rail against the injustice of the case. On the other hand, Wendi is immediately depicted as deceptive. The mistake at the wedding is portrayed as a result of her incompetence. And Wendi’s novel, about a woman whose dissatisfied marriage echoes her own, is rendered middlebrow. Shaer’s narrative weighs heavily in Dan’s favor, rarely asking whether there might be truth to Wendi’s allegations of emotional abuse, nor considering if Dan’s displays of affection bordered on obsessive. We also are given a singular view of their divorce. And partly due to Wendi’s refusal to be interviewed, we get little of her perspective that is not framed through the lens of Dan’s friends and family. As listeners, the bias against her – likely due to the criminal details that have emerged against her brother – is embedded in the tone of the anecdotal evidence Shaer presents us. The listener is left with little choice but to question what parts of the story are true. To be fair, Shaer is an effective storyteller. The colorful patchwork of interviews he features are key to the podcast’s likability, and could explain why Over My Dead Body has sat at the top of the charts for much of its run. However, the more cynical listener would point to the show’s marketing. The artwork for the series shows a woman with bare legs in a suggestive pair of heels, contrasted with a man in conventional jeans and dress shoes. It’s unclear why this is the case. There’s nothing in the story to indicate that Wendi was particularly promiscuous. In fact, this is a distinctly sexless divorce and murder. The discrepancy in the artwork speaks to the podcast’s desire to make the story sexier than it actually is, a ploy that undermines the entertaining character study that sits at its core. Of course, this raises an important question: why must the true-crime genre regularly rely on stereotypes and provocative imagery to attract listeners? Ultimately, the podcast doesn’t know where to position itself. On episodes four and five, the conspiracy between Wendi’s brother, the two men who killed Dan, and their “link,” Katherine Magbanua, unfolds through a series of suspicious phone calls, tenuous connections, and dubious breast enhancement. But from there, the cacophony of investigators and codified phone calls fails to clarify the truth of the crime. Perhaps the truth will emerge after the trial, scheduled for the summer of 2019, which Shaer has promised to follow up on. Despite these issues, the finale redeems the series to a degree by bringing the story full circle, returning to Dan’s death. We learn that the bitterness surrounding the divorce continues through the tragedy of Markel’s children no longer having contact with their paternal grandparents. Even if the crime is solved, it is unclear whether this injustice ever will be. The first season of Over My Dead Body portrays a love story from its early passions to the bitter bureaucracy of its demise with the drama and entertainment value of a standard true-crime TV series. But by attempting to be both a gritty whodunit and a riveting story about a salacious divorce scandal, it emerges as neither, undermined by the banality of its characters. There is only so much titillation to be found in interviews with suburban lawyers and dentists. Alice Florence Orr is a writer based in Edinburgh. Her work has appeared in Scottish Review, Like The Wind, and Nomad Journal. You can connect with her on Twitter or Instagram.